Directors of the new Clare College for Traditional studies photographed in Aras Catriona ,Spanish Point, the location for their weekend courses. 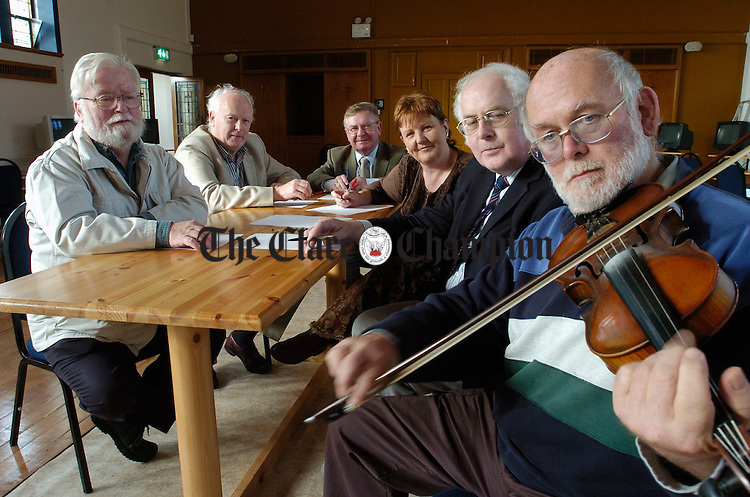 from left; Tom Munnelly, Muiris O Rochain, Tomas Ryan, Rosemary Day, chairperson, Harry Hughes and Barry Taylor, course director. Photograph by John Kelly.